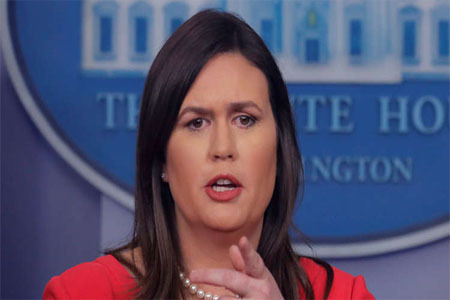 Afrasianet - A spokeswoman for US President Sarah Sanders said she believed members of Congress were "not smart enough" to review President Donald Trump's tax returns. "This is a very dangerous road, and frankly, Chris, I do not think members of Congress, especially that group of women and men among them," said Chris Wallace, a Fox News anchor on Fox News. Democrats), smart enough to look at the thousands of pages that President Trump will present as his tax returns. " "I think most of them do not pay their taxes, and I certainly do not trust them to be able to review the president's success and determine anything," she said, calling Democrats in Congress Trump to rush to make his statements "disgusting." Sanders' statement was commenting on a letter sent by Richard Neil, chairman of the Ways and Means Committee, to the Internal Revenue Service on Saturday, asking them to submit Trump's personal declarations and project declarations for the last six years by April 23, days after the expiration of a previous deadline. Submission. 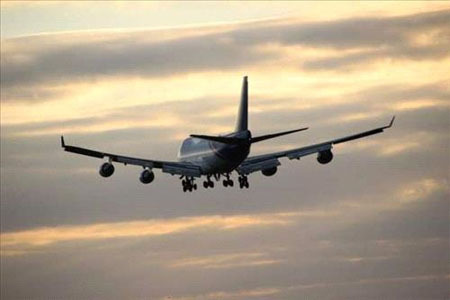 Afrasianet - Ammonnews - Jordan will resume air services with Syria and allow its aircraft to fly over the Syrian airspace in several days, a member of the Jordanian parliament said Wednesday. Afrasianet - Amman (AFP) - Syria attended a meeting of Arab states on Sunday for the first time since its conflict broke out in 2011, marking another step towards the country's political reintegration into the region. Syria's parliament speaker, Hammouda Sabbagh, travelled to Amman for an Arab inter-parliamentary meeting. 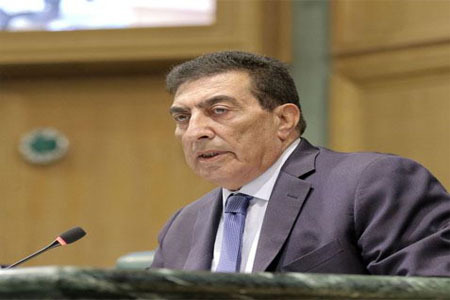 His Jordanian counterpart, Atef al-Tarawneh, called in a speech for regional countries "to work towards a political settlement to the Syrian crisis... and for Syria to regain its place" in the Arab world. A growing number of Arab states have voiced support for Syria's return to the Arab League, which suspended the country's membership in November 2011 as the death toll mounted in its war. 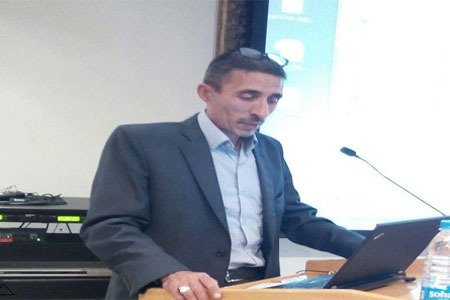 Divisions within the pan-Arab organisation, however, have stalled the readmission of Syria, which with the support of Russia and Iran has largely regained control of its territory from rebel groups and jihadists. But the UAE reopened its Damascus embassy in December, the same month as Sudanese President Omar al-Bashir made the first visit of any Arab leader to the Syrian capital since 2011. 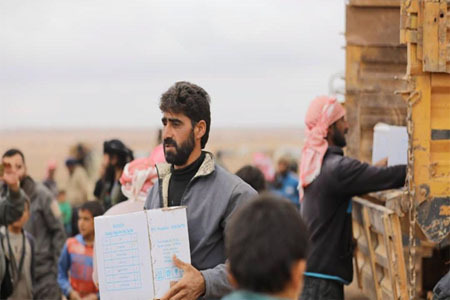 Afrasianet - About 360 displaced Syrians left Rukban Camp on the Jordanian border to return to government-controlled territory last week, the Russian Defence Ministry said. 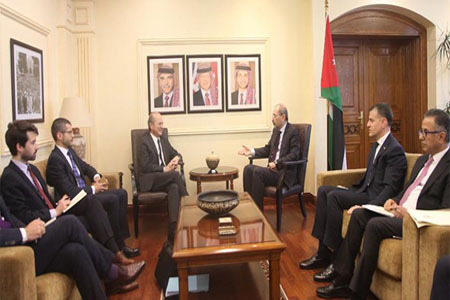 Amman - Afrasianet - Foreign Minister Ayman Safadi and Francois Sénémaud, the French special presidential envoy to Syria, on Tuesday discussed efforts towards finding political solutions to the Syrian crisis, providing support for Syrian refugees and host countries. 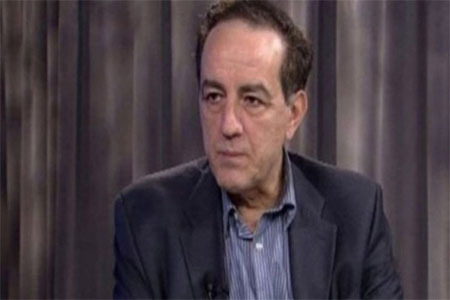 Amman - Afrasianet - By Raed Omari - The Lower House on Sunday condemned US President Donald Trump’s recent statement on Syria’s occupied Golan Heights, saying it violated international law. 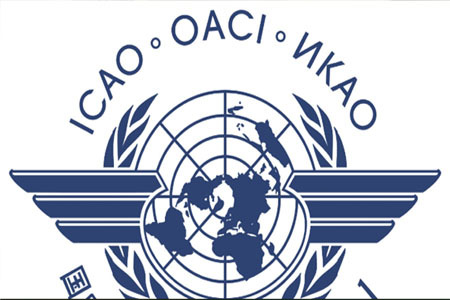 Amman - Afrasianet - The first regional coordination meeting of the International Civil Aviation Organisation (ICAO) started on Sunday in Amman to ensure safety procedures required for the resumption of aerial movement through the Syrian airspace. 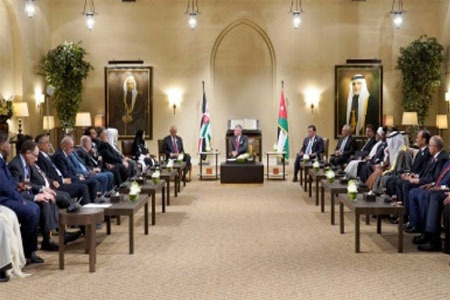 The meeting, hosted by the Civil Aviation Regulatory Commission (CARC), discusses issues related to the safety of operational procedures in the Syrian airspace and neighbouring countries, including the challenges that may hinder the flow of air movement, the Jordan News Agency, Petra, reported. The gathering also addresses recommended measures to overcome such challenges, in a way that can support civil aviation commissions and airline companies regarding their decisions to resume operations over Syria. The two-day meeting sees the participation of experts from civil aviation commissions in the Middle East and regional members of the ICAO, as well as local and international airline companies. Earlier in March, the CARC granted Jordanian airlines permission to fly in Syrian airspace, seven years after banning the use of the airspace in 2012. The CARC stipulated that airline companies wishing to fly in Syrian airspace must present an evaluation study of flight risk, use a specified air route and altitude and take necessary precautions to ensure that safety is maximised. The commission added that it was still evaluating the conditions of Syrian airports, especially Damascus International Airport. In January, the CARC sent a technical delegation that employed international standards of evaluation to assess the risks associated with flying in Syrian airspace. In 2012, Royal Jordanian halted flights over Syria, and re-routed its flights and operations from Amman to Beirut, causing the airline to incur losses of JD19.4 million, the airline previously said. Afrasianet - In the context of Maat’s for Peace, Development and Human Rights concern for international human rights mechanisms, the Association prepared this report in conjunction with the review of the United States of America's compliance with the provisions of the International Covenant on Civil and Political Rights (ICCPR). Hence, the United States is reviewing its human rights situation in accordance with the International Covenant on Civil and Political Rights at the 125th session of the Human Rights Commission, which takes place from March 4 to 29, 2019. Maat's report revealed a lot of human rights violations in the United States. Although the United States claims that it is the most country which respect the human rights provisons, and although its permanent emphasis in international forums on the principles of equality and non-discrimination, by examing its human rights situation, a lot of grave violations against various groups of society were spotted. The most prominent of these violations is a violation of the right to life, religious discrimination against Muslims, and discrimination against women, which entail early marriage and violence against them. Furthermore, the report also reviews US abuses against migrants and asylum seekers. 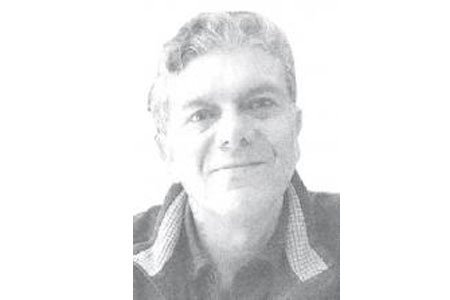 At the end of the report, Maat Association has presented some recommendations to the US government, asking it to stop violations and comply with the provisions of international treaties, the thing of which the US officials have long been praising and recommending for other governments during the international forums. Whereas, Maat called on the US government to stop discrimination against women, especially those with disabilities, and to abolish the travel ban 3.0 as well as adopting a fair methodology for issuing visas to the United States according to the circumstances of each case, regardless of religion. Afrasianet - A new book, "Kushner Company - Greed, Ambition, Corruption, The Extraordinary Story of Gerid Kouchner and Ivanka Trump" on strange details of the deal of the century, was revealed by Vicky Ward. The US plan, led by Jared Kouchner, the son-in-law of the US president, the Trump envoy for international negotiations, Jason Greenblatt, and the former bankruptcy lawyer David Friedman, who became the US ambassador to Israel, called the "Deal of the Century", contain strange proposals that express A quirky fantasy of understanding the nature of the Palestinian conflict against the Israeli occupation, such as an exchange of land under which the Palestinians would obtain Jordanian land in return for their land, while the Jordanians would be compensated with Saudi land for the return of Egyptian islands. 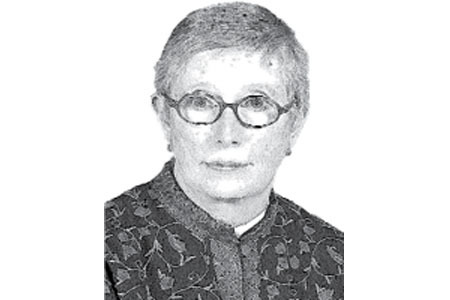 In an interesting chapter of her book, Ward explains the details of President Trump's first trip abroad as president, during which he visited Saudi Arabia, Israel and the Vatican, where Saudi Arabia was supposed to play an important role in Kouchner's peace efforts, And to help revive the economy of the besieged Gaza Strip. "Saudi Arabia was ... the key to Kouchner's son-in-law's peace plan in the Middle East," she said. "What Kouchner wanted, according to many people familiar with the plan's drafts, was that Saudis and Emiratis would provide economic assistance to the Palestinians." 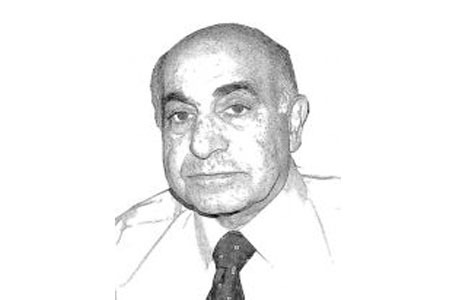 Perhaps the strangest acrobatics in the process belong to the concepts of the surface real estate group of the Arab-Israeli conflict, because "the plan also included the exchange of land, so that Jordan would give land to the Palestinians in exchange for the part settled by the Israelis from the West Bank and the Jordan Valley. Will restore two islands (Sinafir and Tiran) in the Red Sea have been under Egyptian sovereignty since 1950 ". The paper did not say whether the land swap plan was still in the US peace plan known as the "Century Deal", which the administration says will not be unveiled until the April 9 Israeli elections. But US envoy Jason Greenblatt, In a response to the book Tuesday (March 19) that "no one who has read the plan will publish such false information. It is noteworthy that President Trump appointed his son-in-law Jared Kouchner, who had no experience in foreign policy or details of the Palestinian conflict to end the occupation responsible for diplomatic efforts to conclude a Palestinian-Israeli peace agreement with Greenblatt and Friedman. "The Kushner Foundation: greed, ambition, corruption, the extraordinary story of Gerid Kouchner and Ivanka Trump," that the daughter of President Ivanka Trump and his son-in-law Kouchner are working to mitigate the impact in the vicinity of Trump. "In fact, the couple (Ivanka and Gareed) ) Fueling anarchy that has become a feature of the White House. Those authorized to refine the American peace plan, such as Kouchner, Greenblatt and US Ambassador to Israel Friedman insist on continuing to use phrases such as "any peace deal must take into account the changes on the ground" or "the need to accept de facto" or "necessity" And the focus of the US peace team on the economic aspect of any peace deal clearly indicates that the long-awaited peace plan does not include a two-state solution and East Jerusalem as the capital of a Palestinian state. 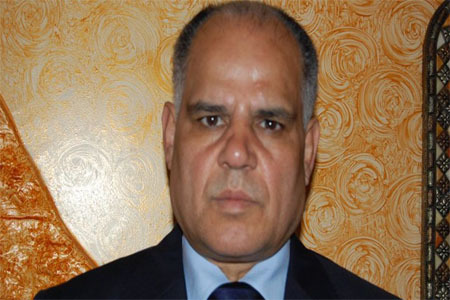 Amman - Afrsianet - A parliamentary delegation on Monday met Syrian Transport Minister Ali Hammoud in Damascus over activating transport, cargo and transit movement between the two countries. It is the Zionist time .. and Trump! Lavrov in the Middle East. Every man can do what another man does ! A book entitled "The Kouchner Company" reveals more details and oddities of the "Deal of the Century"